Would you describe exercising as fun? If you’re like most people, then the answer is probably no. And this is one of the main reasons that people don’t exercise regularly, even though they know they should because its good for them. Exergames aim to change that by making exercise something that’s actually fun to do. Exergaming is what you get when you cross exercise with video gaming (exergaming is sometimes also called ‘gamercising’). Exergames are video games, usually played on consoles like Nintendo, Xbox and PlayStation, in which the aim is to move your body (exergames are also known as ‘active-play video games’). In fact, you can’t progress or win the game without being physically active. They provide an alternative to typical video games and encourage users to get up off the couch and do some exercise. And while they may seem like new, high-tech approaches to fitness, they’ve actually been around for about 30 years. Although most of the old arcade games required you to stand at the machine and put quite a lot of physical effort into playing the game (jostling the joystick and pressing the buttons), active-play video games for consoles made an introduction in 1987 when Exus released the ‘Foot Craz Activity Pad’ (and related games) for the Atari 2600. 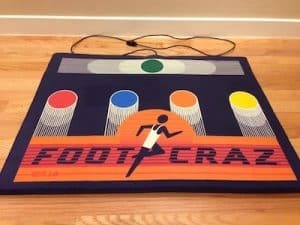 Foot Craz didn’t last long at all, and remains one of the rarest and most valued Atari collectibles. 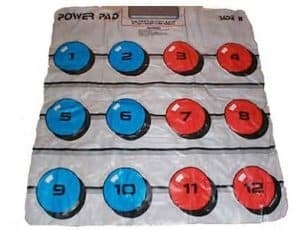 It was soon followed by Nintendo’s ‘Power Pad’, which was a lot more successful. Since those early days, gamercising has become more sophisticated and fun, and there’s a much broader range of options. Exergames have been found to be more fun than other forms of exercise❄, and so they tend to increase motivation to be physically active. 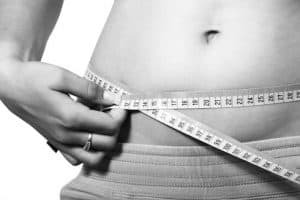 As such, many people have started looking to this technology as a way to help themselves or the people they care about get a healthy amount of regular exercise. The fact that most people don’t enjoy traditional exercise (e.g., jogging, cycling, weight-lifting, etc.) is one of the main reasons for the high levels of inactivity found in America. It’s not hard to imagine that many people consider playing a boxing or dancing game to be much more attractive than going for a run, which is why exergames can be a good option for people who want to improve their health and fitness but struggle to find the motivation to do so. But, two important questions that should be asked before giving exergaming a try: Does it work? and is it right for you? First, let’s see what the science says about whether it actually works. Due to their increasing popularity, fitness and exercise games have been put to the test in a number of scientific studies. Overall, these studies have found that exergames can be a good addition to regular forms of physical activity❄, and may even provide a valid substitute for traditional exercise❄. Depending on the type and duration of the game, exergames have been found to provide anything from low-intensity to vigorous exercise❄❅. As such, exergaming has been shown to help people lose weight❆ and improve their physical fitness❄. In fact, a good exergaming session of 30 minutes or more, done 5 days a week will help you get the amount of physical activity needed for a healthy heart, muscles, joints and nerves, as recommended by the American College of Sports Medicine❄. During a 30 minute session of exergaming in which you are working reasonably hard, you can expect your heart rate to reach 60% or higher of its maximum, and to burn somewhere between 180 and 270 calories❅. And that’s not all. Exergaming has also been shown to offer significant health benefits to people who are most negatively affected by a lack of physical activity, such as seniors and older adults❄, people with disabilities❄❅, and people recovering from physical injuries❄. For example, older adults who played exergames on the Nintendo Wii over an extended period of time showed improvements in physical functioning and cognitive skills❄. Do you like playing video games? Exergaming is most often studied in children and adolescents because they play the most video games overall, and are therefore the most likely to engage with exergames. Ultimately, exergaming is like any form of exercise; you’ll only benefit from it if you do it on a regular basis, and that will be easier if it’s something you genuinely enjoy doing. If you like playing video games, then exergaming could be a good option for you. Do you have room to play? Exergames generally require a lot of space to be played safely. The vast majority of exergames are for consoles, and consoles need to be connected to TVs. 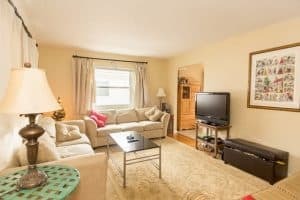 TVs tend to be in shared spaces in the home, like living rooms or dens, which often have other large pieces of furniture in them like sofas and coffee tables. 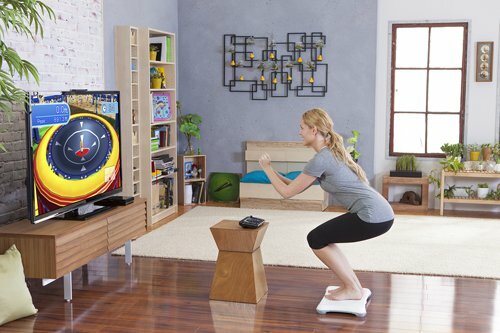 But, when playing exergames, you need plenty of space in front of the TV to be able to move your body (e.g., swing controllers, do full-body movements, use dance pads, etc. ), and plenty of space around and behind you in case of missteps. You’ll need approximately 6ft between you and the TV, and 5ft to each side and behind you. Therefore, if you’re planning to play exergames in your living room or den, you may need to shift your furniture around before you begin and after you finish. Doing this many times every week could become a significant effort, and may lead you to abandon exergaming long before you’ve experienced any of the benefits. A spare TV that can go in a dedicated exercise room with little other furniture is ideal for exergaming. What do you want to achieve? Be realistic about what you expect exergaming to do for you. As mentioned, exergames will mostly have you doing moderate levels of physical activity. Moderate intensity exercise is fantastic for promoting a moderate level of physical fitness, and if that’s what you want to achieve then great! But, if you want to develop high levels of physical attributes like strength, power, speed, agility or endurance, then you’re going to have to do more vigorous exercise than what you’ll get playing video games. So, if you enjoy playing video games, have a large enough space to move freely, and understand what results are realistic for you, then its time for you to start exergaming. But, there are a number of different options out there, and not all exergames are created equal. Let’s take a look at what you’ll need to know to get started, as well as the best fitness and exercise games on offer. The platforms we’ll be focusing on are Nintendo, Xbox, and PlayStation. While there are other platforms available, we’ve chosen these three because they are the most common and have the best games. Nintendo is one of the pioneers of active-play video games, so it’s no surprise that they have the widest range and some of the best exergames. That said, their exergames are not as interactive as the other two platforms, which use cameras to capture your body movements and integrate them into game play. Nintendo consoles sense the motion of the controllers in your hand in order to read your body movements. 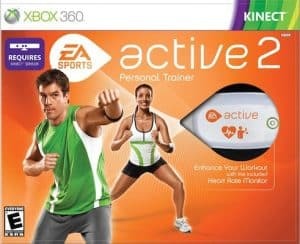 Xbox is the newcomer to the exergaming revolution, however that doesn’t mean its not a great exergaming platform. It has a number of good exergames for its newest console, the Xbox One, though the Xbox 360 is arguably the best Xbox console for active-play games. Unlike the Nintendo Wii, Xbox caters much more for the sedentary, sit-and-play gamers. 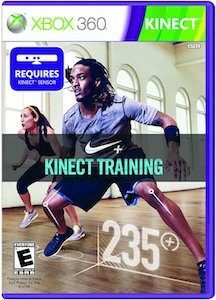 Therefore, Xbox’s exergames require you to purchase the Kinect system, which is a ‘motion capture system’ that is able to recognize your body movements and integrate them into the game play. This isn’t a bad thing either. The Xbox with Kinect system doesn’t require a pad, board or controller to play, making it the first common, affordable gaming system where truly free body movement is possible. The Xbox One and Xbox 360 have Kinect systems, but unfortunately they are not compatible with each other and Xbox 360 Kinect games can’t be played on the Xbox One. PlayStation is the other newcomer to exergaming. Similar to Xbox, PlayStation traditionally caters to the sit-and-play video gamer, and so you’ll have to buy the PlayStation Eye Camera and Move controller, which is essentially a combination of Xbox’s Kinect system and Nintendo’s motion controller system. This combination allows for more free body movement than the Nintendo, but less than the Xbox (as most games still require players to hold a controller). Now let’s have a look at our top picks for exergames across all three platforms. We’ve chosen the following games based on 1) how good of a workout they’ll give you; 2) how much fun they are to play; 3) how easy they are to use. Unfortunately, not all games are available on every console of all platforms, but we’ll note the supported consoles as we go. Nintendo Wii: You can play DDR with a dance pad on the Wii, but the dance pad will only connect to older systems that have gamecube ports on the side of the console. 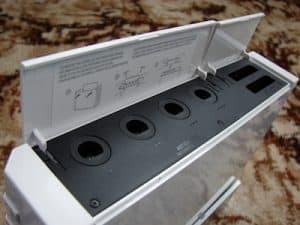 If you have a newer console without the gamecube ports, you’ll need a gamecube adapter to be able to connect it. Alternatively, you can play with the Wii balance board on newer systems, but be careful not to stomp on it. Xbox 360: The dance pad on Xbox 360 doesn’t require any special attachments, nor does it require the Kinect system. A very straight forward option. 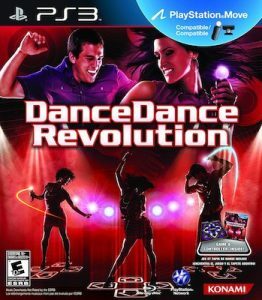 PlayStation 3: another solid option for playing DDR with the dance pad, as the PlayStation pads don’t require special attachments either. The eye camera and motion controllers are also not necessary to play DDR either, but they can be used with the game. Just dance is another dancing exergame. It’s very similar to DDR except that it doesn’t use a dance pad. It records the accuracy of your dance steps by tracking the motion of your body, either through the motion capture cameras of Xbox and PlayStation, or the movement of the controllers for Nintendo and PlayStation (if you don’t have a camera). Just Dance also has a smartphone app that can be downloaded for free, and used as a controller. 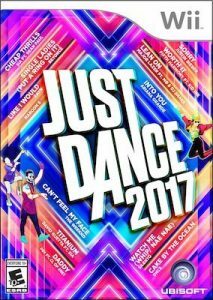 There are a huge number of iterations of Just Dance, with a new version being released almost every year that features the popular songs from that year. A huge advantage of Just Dance is that it is available for basically every console on all platforms. One major drawback is that it is not as accurate at registering your dance moves, and this can get a bit frustrating. Just Dance also has a workout mode called ‘Just Sweat’ that has a number of very physical dance routines that can be set at varying intensity levels. This mode also calculates the calories you burn during the session, and is a very good exergaming option for those wanting to get a fun cardio workout. Here’s what a bit of Just Dance looks like. The Your Shape Fitness Evolved games are designed specifically as fitness and exercise games, and will give you a great workout. They’re designed less for fun than the dancing games, and so you’ll have to rely on your own motivation and engagement more. These games allow you to choose exercise programs of varying lengths and intensity, and then follow along as an on-screen ‘personal trainer’ guides you through the exercises. Motion capture sensors record your body movements and assess how well you’re doing the exercises. Your Shape Fitness Evolved arguably does this the best out of all of these games; it has the widest range of activities, from dancing to Yoga to boxing, and is very customisable. It will also track your progress through the amount of time spent exercising and total calories you’ve burned. As with pretty much all of the dedicated fitness and exercise exergames, one of the major flaws of this game is that the motion sensors that you wear in order to record your movements are not very accurate, and will not always properly record you doing the exercises. This can get very frustrating. Also, unfortunately this game is only available on the Xbox 360 and Wii U. There are 3 iterations of this game: the original Your Shape Fitness Evolved, the 2012 version (for Xbox 360 only) and the 2013 version (for Wii U only). Here’s what a bit of the gameplay looks like. Another dedicated fitness and exercise game that is quite similar to the two above. The advantages that this one has is that it gives a very solid workout that utilises a lot of jumping and floor exercises; the motion sensors seem to work better than other games; and it does a very good job of personalising the workout routines to you and your level of fitness. The major drawback of this game, and the reason it is not higher on the list is that it is only available for Xbox 360. Check out some of the gameplay in this video. In this article we went through what exergaming actually is, what the science says about it and whether its right for you, the main gaming platforms that you’ll be able play exergames on, and the best exergames across that platform. All in all, if you’re someone who really want to make regular exercise a part of their life, but struggles to find the motivation to do traditional exercises like jogging, cycling, or lifting weights, then exergaming may help you find enjoyment in working out. Overall, you are able to get the 150 minutes of moderate intensity needed to promote good health, as recommended by the American College of Sports Medicine. However, in the end exergaming is just like any other form of exercise: you have to stick with it. Only by doing it on a regular basis will you see any changes in your health and fitness. So, if you think that it’s right for you, then there’s not time like the present! Get what you need, and get to exergaming! Thanks for reading the article. If you liked it then consider sharing it with your friends on social media. Also, go ahead and leave any thoughts or comments you have in the comments section below. As always, all the best with your home workouts. Remember: when it comes to our health and fitness, we can make the effort or we can make excuses, but we can’t make both.